Remember when I told you that I was going to leave my vanity (and makeup) behind? Hahahaha! I just love it when I make predictions about how my future is going to be and then put them in writing so I can look back and see how wrong I was! It turns out that I may be the teensiest tiniest bit vain. And unable to leave said vanity behind. I can go forever without makeup while physically traveling, in National Parks or in other rural environments. But get me in a city or out on the town with friends and I just want to look less...splotchy. So I caved and while in Minneapolis (at the Mall of America, no less), purchased something recommended to me by my fabulous friend Kim: mineral foundation. Holy crap, this stuff is amazing! It takes about two minutes to apply and makes me look like I have really good skin. I would venture to say that it may be the perfect traveling makeup. Of course, I've been using it for less than a week and thus a prediction like that may be considered premature and unwise. But what I lack in ability to learn from my mistakes, I make up for in enthusiasm! 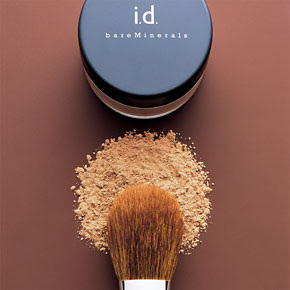 Mineral foundation is awesome! You should try it out! It will change your life! is this a jonathan post? seriously tho, i'm glad you came to your senses...or census as we u.s. census workers like to say. haha. i have used this product for the past 3 years & love it. it is my summer make up. light weight but still hides the imperfections. looks good with my tan. doesn't feel like it's melting when it's 110. so glad you found a beauty product that fits your travel needs. viva la beauty!!!! lol! It's so invisible that men could actually use it, too! First off thanks for calling me a fabulous friend!! I am so happy you tried it and love it so much. It changed my life and glad it has done the same for you. I'm sure you will love it for many years to come, I haven't kept track but I want to say I've been using it for 5 years now and I'm still smitten. Let me know if you guys decide to brave the good ole South I would love to give you food, shelter, baths and anything else your heart desires. P.S. Just don't apply it in the van on a bumpy road-- powder everywhere! Yeah Chicago!! If you haven't tried Garrett's Popcorn - Chicago Blend...give it a try! It's yummy! @Kim - you are definitely fabulous!! :) I'm glad to hear that you, too, have had great results for so long. I read a review that said it caused irritation after a couple of years and am so glad to hear that is not universal. And we will most likely be going through TX in January-ish 2011 and would love to eat your food, sleep in your beds and use up all of your hot water! @Anonymous - thanks for the tip on the popcorn! We'll try and grab some tomorrow on our way out of town! LOL I was going to suggest that you avoid the other BM products because they are quite addictive. I won't confess how many I have but will admit that I love them all. The eye shadows double as liner (just use a wet brush), and contour also (more on the lid, less on the arch). Fabulous. Definitely stay away from DiorShow mascara also.